Torstein Horgmo is a legend at camp. He spends the winter on the podium at TTR Contests, drops amazing edits and has fun all over the world. Then in the summer he hangs at COC with his homies, Stale Sandbech, Mark and Craig McMorris and all the campers. He's the nicest guy you'll meet. He signed some boards for us to give away over Christmas. We are giving one away on Christmas Day and one away on New Years Day. 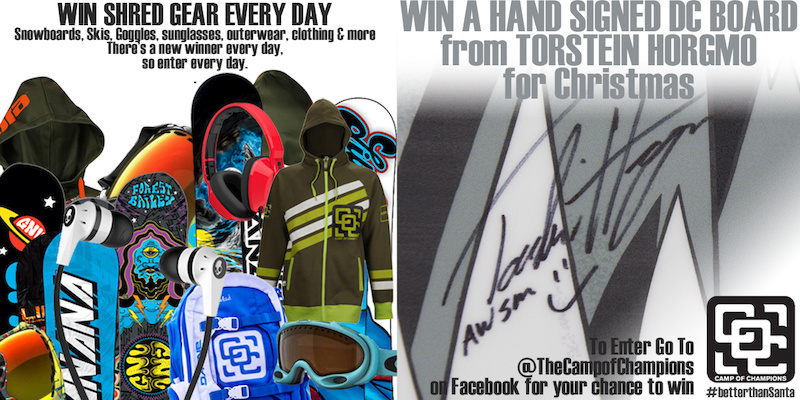 Go to @TheCampofChampions on Facebook and share this photo. 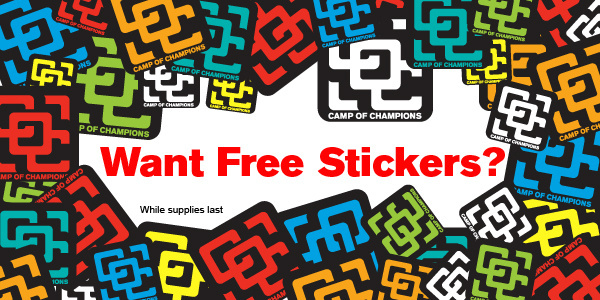 If you want us to send you some free stickers, click here, fill out the form and we will send them to you. 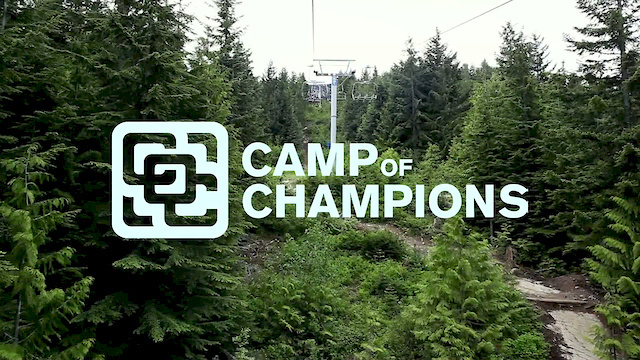 If you want to have the most amazing week of your life riding the Whistler Bike Park and The Air Dome with amazing pro coaches in a 1:3 coaching group ( the best ratio of any camp in Whistler) where all the coaching is one-on-one, hit up The Camp of Champions this summer. Your riding will thank you.